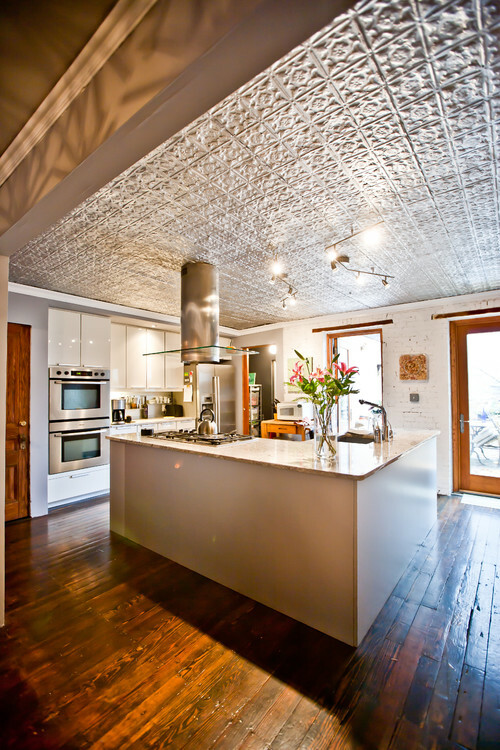 Why are ceilings often under-appreciated as part of a home? One reason is that they are flat and white, which are often-times considered the norm. 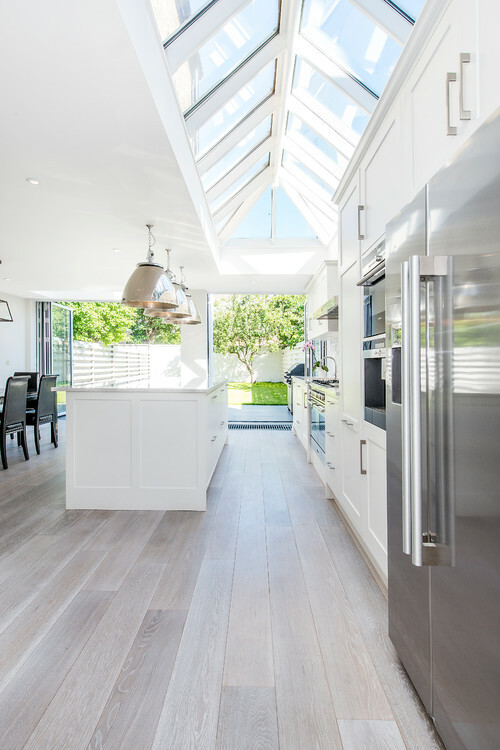 Ceiling design can vary from room to room, but remember, for some, the kitchen is the heart of the home, and therefore every inch of the space should stand out. 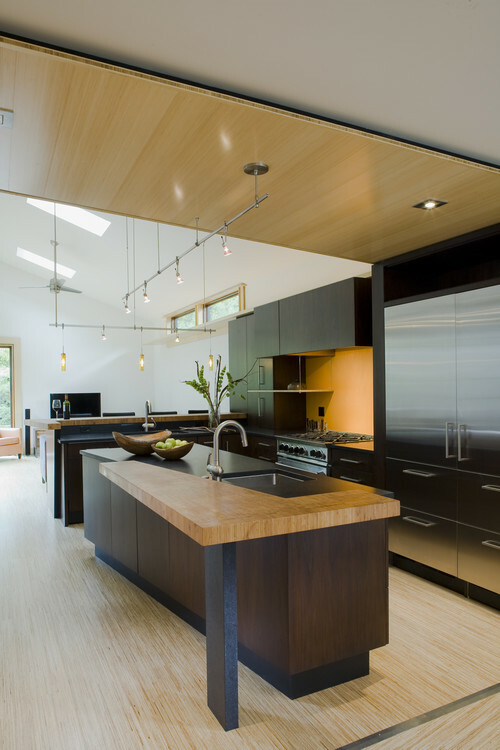 The statement should create a harmonized vibe within the kitchen that transcends throughout the rest of the rooms. 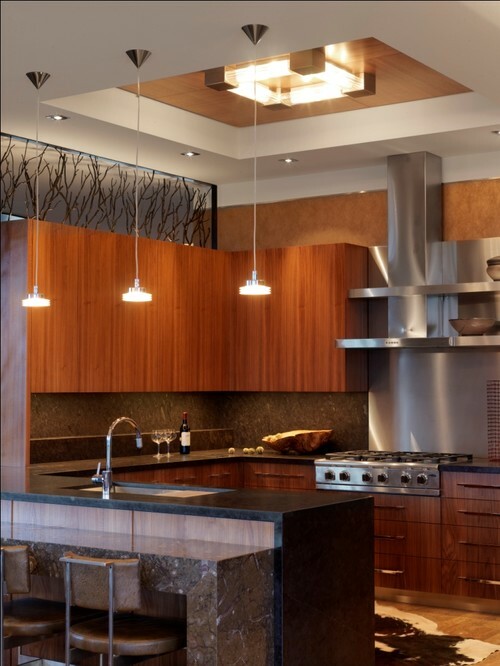 A beautifully detailed ceiling will not only change the atmosphere in a kitchen, but it will transform the entire space. 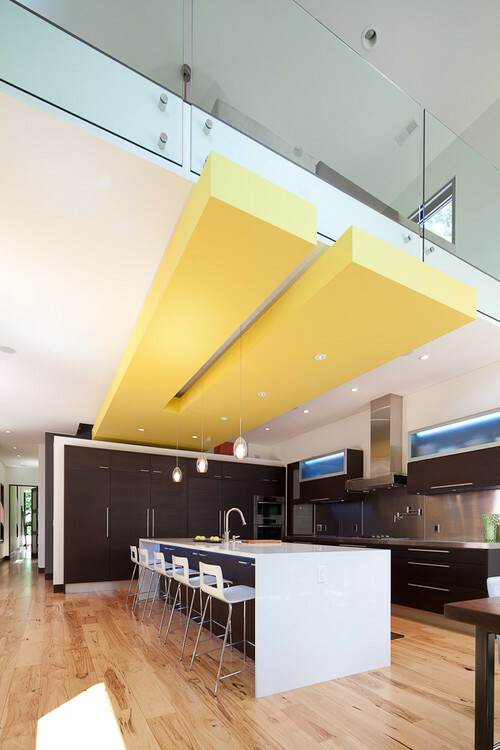 It does not take much to create a statement because a coat of paint can make a drastic change, which will complement the elements below. 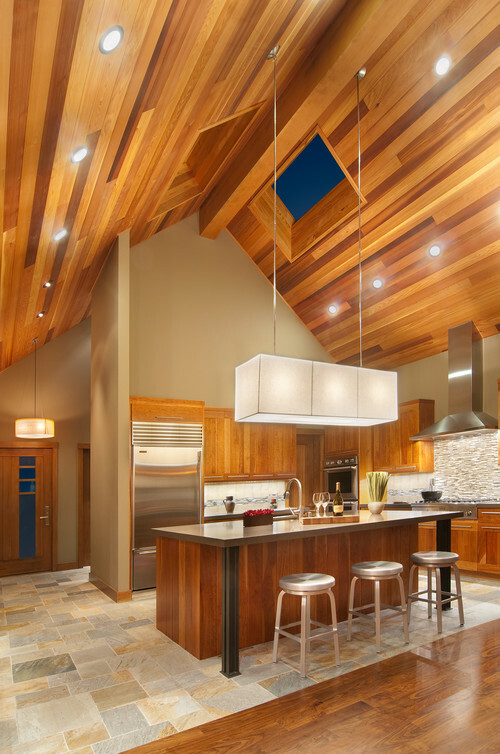 From structural as exposed beams, ornamental plaster, tile, glass, wood, the addition of a false ceiling, and not to mention a variety of the other decorative aspects such as a tray, cove, or a drop ceiling that can quickly transform an under-appreciated and bland ceiling. The possibilities are truly endless. However, remember that when addressing walls, don't forget to include the one above because it can add significant personality to any home. 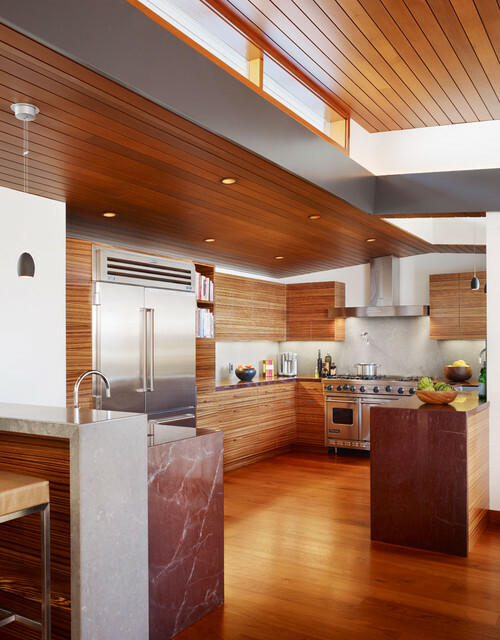 Design Tip: Even if looking to incorporate color to open a kitchen area up, the main point to always keep in mind is that it is about making use of all walls, as already stated, this includes the ceiling as well. 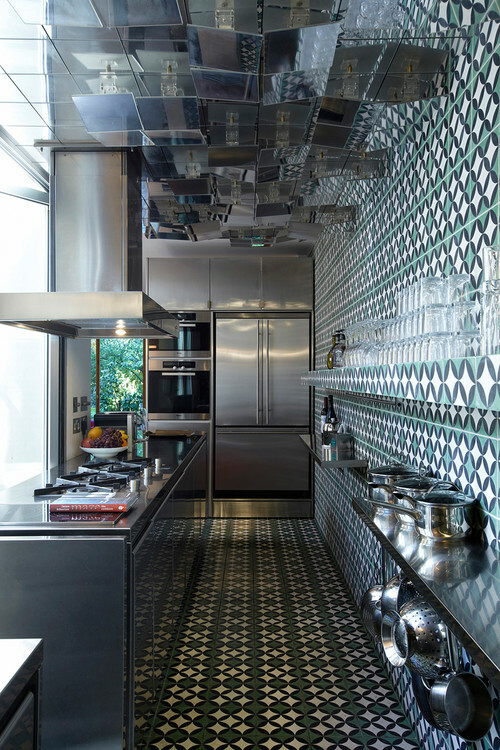 Are you looking for some inspiration to take your kitchen to a new height? 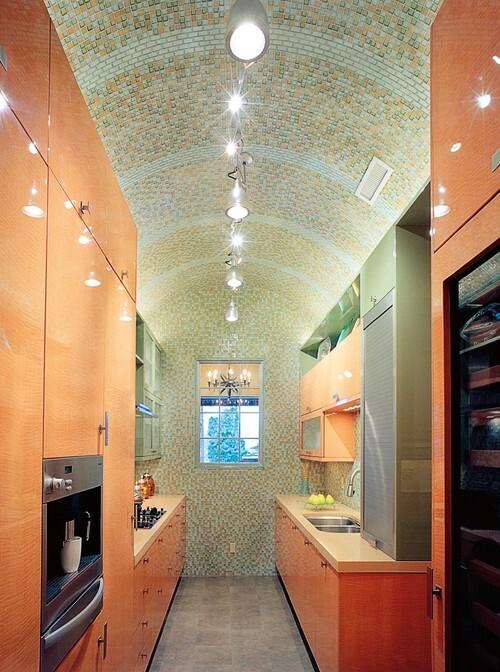 Well, check out these statement-making ceilings!